A kitchen is no longer just a kitchen, it is the heart and hub of your home. It is designed with a purpose: to create, gather and entertain. 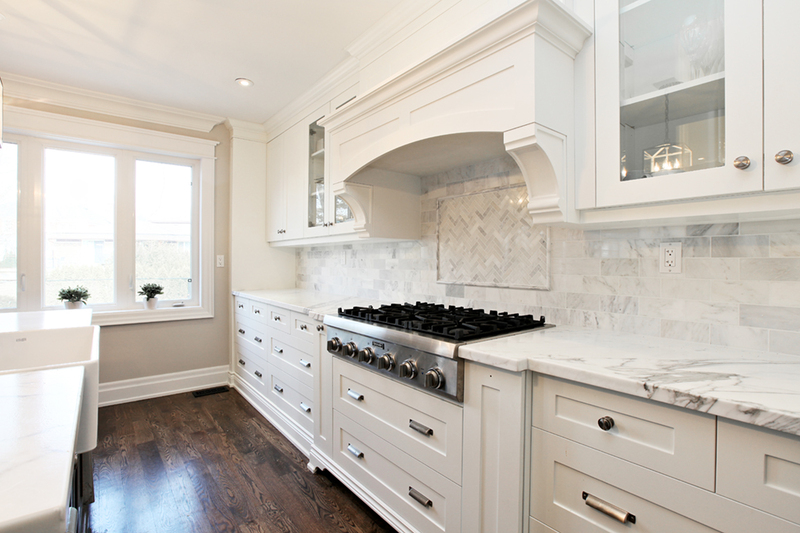 Kitchen functionality and design is ever evolving based on today’s busy and varied lifestyle. To many, it is the most important room in the house, and this is no exception for realtors, designers and contractors. The resale value of a house depends greatly on the kitchen. This kitchen has a complex back wall tiling feature that subtly breaks up the lighter colour choices for some visual intrigue. Lots of counter space for prep work and parties alike.